There is jargon in every specialty, and ASD is no exception. In one medical study, over 80% of physician-patient encounters contained an average of 4 un-clarified terms per visit, and over 1/3 of such phrases were used when making recommendations. In the newly emerging epidemic of Autism Spectrum Disorders, the word “die-off” is used frequently, but is not always understood by parents or even professionals. There is little debate that many ASD patients have G-I disturbances. Symptoms can include diarrhea, constipation, abnormal posturing, difficulty with toilet training, ‘stimming’, sleep problems, rashes, aggressive behaviors, fog, silliness, hyperactivity, and difficulties with focus and learning. Unhealthy gut bacteria, abnormal amounts of yeast, parasites, imbalances in flora and food intolerance may be underlying issues leading to such clinical presentations. The flora that lives in our gut plays an important role in our immune system, so addressing difficulties is often key to helping recovery. One research paper recently reported no significant difference in the gut flora of autistic vs. non-autistic siblings. The authors concluded, “The data do not support the hypothesis that the gastrointestinal microbiota of children with ASD plays a role in the symptomatology of ASD.” How about, “The data in the study only supports the evidence that people who live in the same house share the same bacteria”? Otherwise, there are numerous reports indicating that state of gut health affects behaviors in autism. Susceptible infants somehow respond differently to the external environment (and, btw, our gut – not our brain – is directly exposed to the outside world). A logical intervention has been the use of probiotic formulations containing what are considered to be healthy bacteria, presumably to create/maintain balance. As the good bacteria take hold, cell death occurs in the bad population; thus, the term, “die-off”. Other antimicrobial, ant-fungal and anti-parasitic medications (homeopathic or allopathic) would also lead to destruction of such organisms, with the same possible side effects (often, even more pronounced). That is the official medical term denoting what is thought to happen when toxins from dying organisms affect the body negatively while it is trying to detoxify and excrete them. Experienced parents can enumerate the signs and symptoms without blinking. These include diarrhea, constipation, rashes, silliness, problems sleeping, regression (more stimming, less language), and aggression. The problem is, of course, that these are many of the same behaviors that the unhealthy gut produces. What can be done to prevent or treat die-off? •When first treating patients with any agent that might potentially create die-off, I prefer to observe for clinical signs and symptoms that indicate treatment is on the right track. A positive or negative reaction (the more likely) can be a useful marker for dose, frequency and length of therapy. •Warning about such reactions and helping patients through those tough 3-5-10-14 days (depending on what we are using and what we are treating) plays an important role in assuring patient compliance. •The use of activated charcoal given one or two times per day to absorb and hopefully decrease the toxic load can be helpful. Parents of young children should have this inexpensive remedy in their house anyway, so The Child Development Center makes it available to our patients. •There are times when it is absolutely necessary to decrease or discontinue other stimulating supplements such as methyl B12 or glutathione until the period of die-off settles down. •Similarly, decreasing dosage, frequency or discontinuance of therapy may occasionally be warranted. Sometimes, there are alternative methods to achieve better G-I status. Because of the complexity of gastrointestinal problems and the similarity of presentations between illness and treatment, the highest chance for success exists when parents can endure and communicate with, professionals if problems arise. This entry was posted on Saturday, July 27th, 2013 at 11:37 am	and is filed under >ALL<, AD/HD, Alternative and Complementary Medicine for ASD, Asperger's Syndrome, Autism Therapies, Chelation, HBOT for ASD, Reversing autism. You can follow any responses to this entry through the RSS 2.0 feed. You can leave a response, or trackback from your own site. Thank you for all that you do, Dr. Udell. 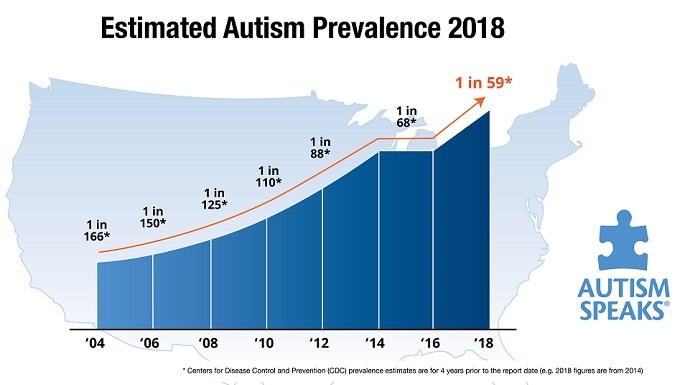 I truly hope and pray that a lot of parents will eventually come to embrace the fact that gut health plays an important role in Autism. Many may not have accepted this fact yet, but society is beginning to see the link to it. I am blessed to have found your website… It is truly a blessing to see a medical doctor consider the role of candida overgrowth in many of today’s modern health problems. More power to you. God bless you and yours always. I am also a BSN, RN for over 34 years. I recently read that organic coconut oil may also help with clearing toxins from e body. It is a safe, medium chain fatty acid that can bind with toxins for a quick exit. I appreciate your experience and comment. I have heard many good things about coconut oil as well. It shouldn’t cause any problems, but I wish to point out, however, that I cannot recommend any product(s) that I have not researched for safety and efficacy. commentary on few basic issues, The web site taste is ideal, the articles is really excellent : D.
So, there are a variety of reasons for his increased stimming, etc. This needs to be discussed with a doctor who understands and knows your child. Sorry if this is not more specific, but that would not really be prudent or helpful. I had been made aware of the 17month yeast abstinence and 17year yeast cleaning associated with Judaism(tora) religious practices. it makes sense now, somewhat anyway.